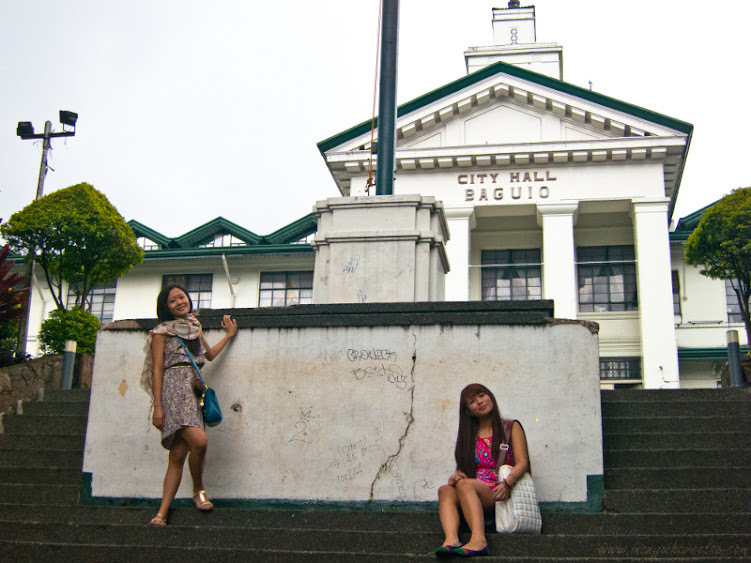 Baguio City Hall is a pretty sight among tall trees and the ornate gardens that fill its surrounding slopes. 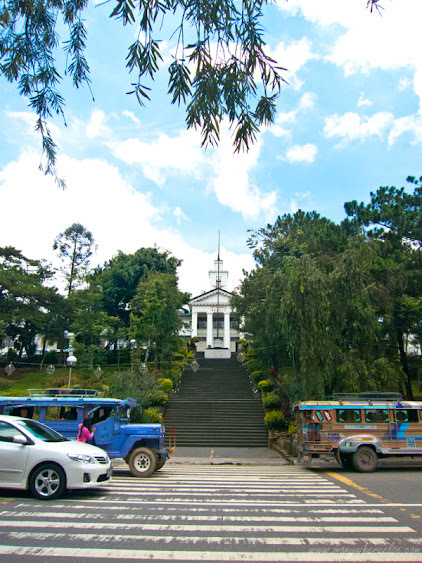 It provides an overlooking view of Baguio City's center since it proudly stands on a hill. 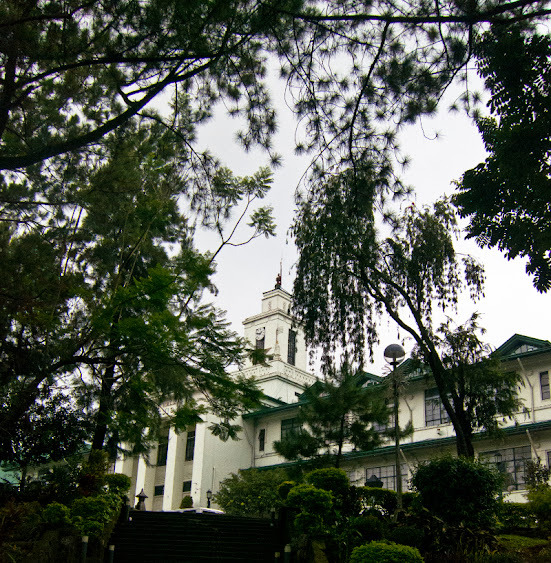 With its building partly covered with the vegetation in its front, I firstly thought that this was the Baguio Cathedral. Come Sunday when my family and I would hear mass, I then realized that I was completely wrong about the Cathedral's address because my phone's GPS routed me to the opposite direction! Such shame. haha! Here is my mother laughing at something which I can't remember what. It must be the joke we had on our father because he suggested in a jest that he would have a courtesy visit with the city mayor. However, it was a Sunday so, apparently, the City Hall was closed. 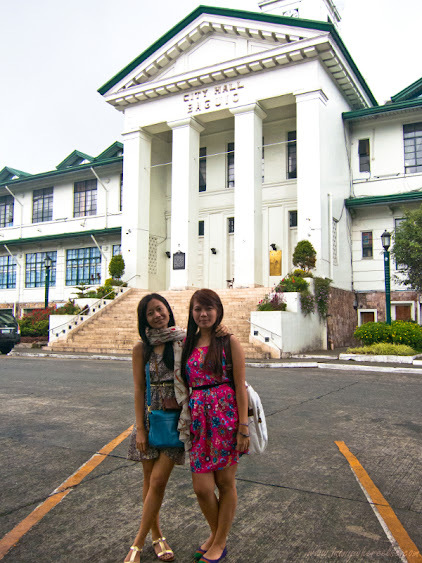 We had lunch at Cafe by the Ruins which was just across the city hall. 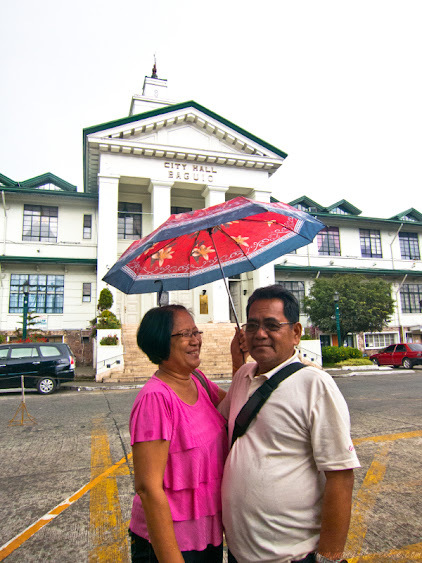 Even with the impending downpour, we deliberately made our way up the hill so that my father could at least feel a wee bit of his supposedly courtesy visit. 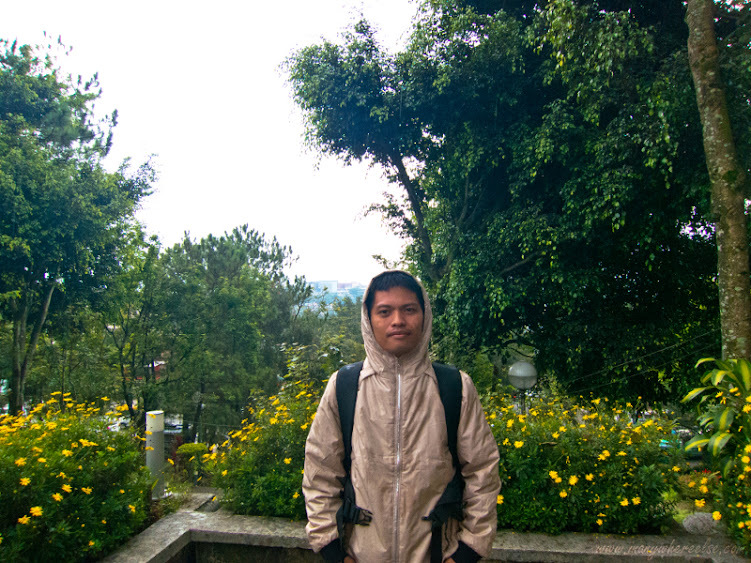 By this time though, the rain was dead serious with its threats that's why, my brother was cocooned with his jacket and my parents were squeezed into their own small umbrella.